Amazon said this morning that the company sold millions of Echo devices over the Turkey 5, the five days starting with the Thanksgiving holiday in the U.S. followed by the Black Friday weekend and Cyber Monday. The new Echo Dot was the top selling product on Amazon globally. Echo Dot was the #1 selling product on Amazon globally, from any manufacturer, in any category. 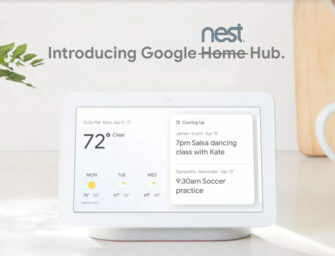 It is a new product, in a hot category (smart speakers), which carried a tantalizingly discounted price of less than $25. Discounts in 2017 typically brought the entry-level smart speaker down to $29.99. Amazon has figured out a way to reduce that even further in 2018. Two more Alexa-powered devices, the Fire TV Stick 4K with voice remote and the Fire 7 tablet with Alexa, were the second and third most popular items during the period. According to the company, over 180 million items were ordered overall. The company also announced that the new Amazon Smart Plug was the number two best seller at Amazon Pop-Up device kiosks and among the top five online sellers in the smart home category. It is designed to be the simplest way to connect any outlet with your in-home Alexa device ecosystem. In addition, Amazon’s announcement stated that “Customers asked Alexa for nearly twice as many recipes and cooking advice this Thanksgiving as they did last year.” That figure likely corresponds with the growth in Amazon Alexa households over the past year. It also points to the fact that recipes and cooking instructions are a common use case during holidays. Amazon also revealed that the most popular timer names used on Thanksgiving Day were “turkey,” “pie,” and “stuffing,” in that order. For those of you not familiar with U.S. holidays, these are the most common foods associated with Thanksgiving. The real news here is that smart speakers specifically and voice-enabled devices more generally remain popular and continue to attract new buyers and use. Past history suggests many of those devices will be put to use right away and the rest will lead to a big spike in usage on December 25th and 26th. You can read the full release here. Did you take advantage of any voice-device discounts over the Black Friday – Cyber Monday shopping days? Let us know on Twitter.